When Bill Alexander decided to make the .50 Beowulf round, he really got me excited 🙂 The idea of a heavy thumper round in an AR platform really appealed to me so I bought one and one issue that popped up was where to find magazines that were not really expensive. Once in a while the answer is really straight forward and this is one of those times. 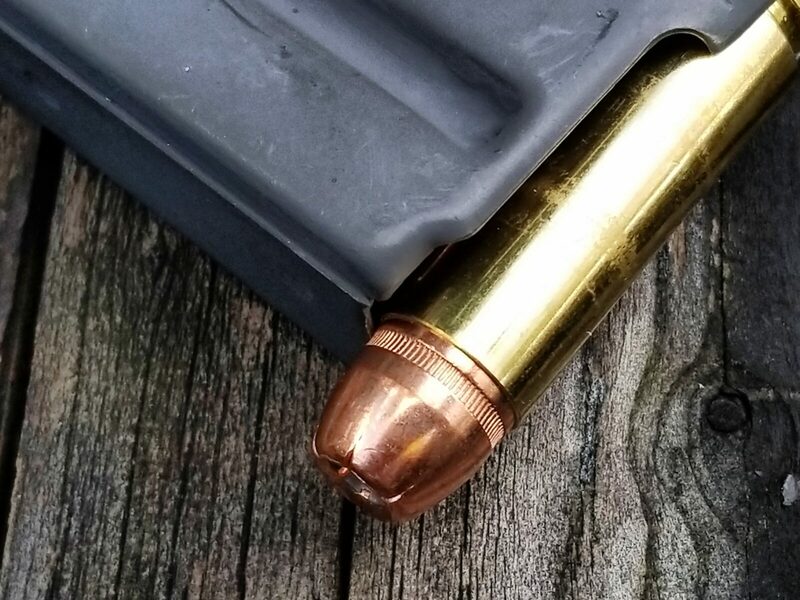 You do not need to change the feed lips or the follower on a standard 5.56/.223 magazine, you just need to bevel the front lip at about 45 degrees (the exact angle doesn’t seem to be a big deal) so the giant .50 Beowulf bullet goes up and, this is the key part, the leading lip of the brass case hits the little ramp and goes up it vs. hanging. In this next photo – see how the lip of the case will catch? It may catch sometimes or all the time – for me it was practically all the time. 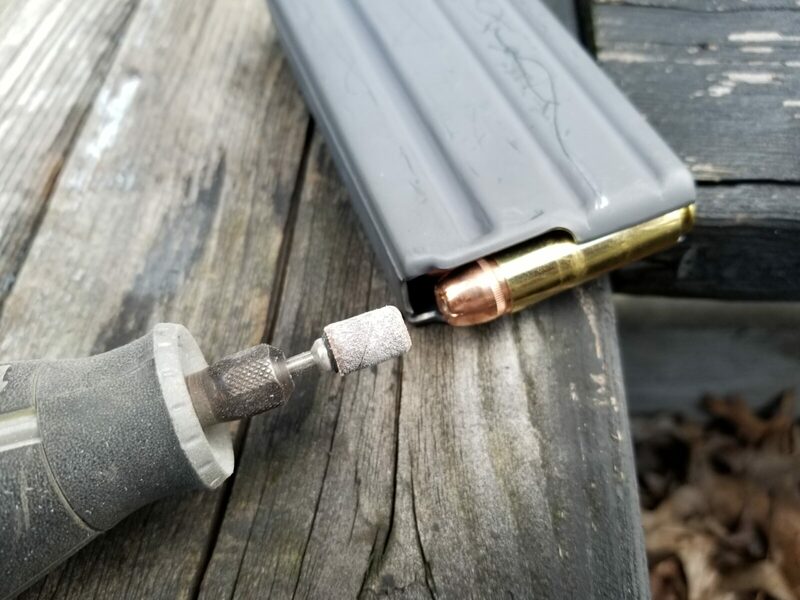 All I did was use a medium grit little sanding drum in my Dremel to bevel the magazine’s front lip – you are basically making an ad hoc feed ramp so the case doesn’t catch. 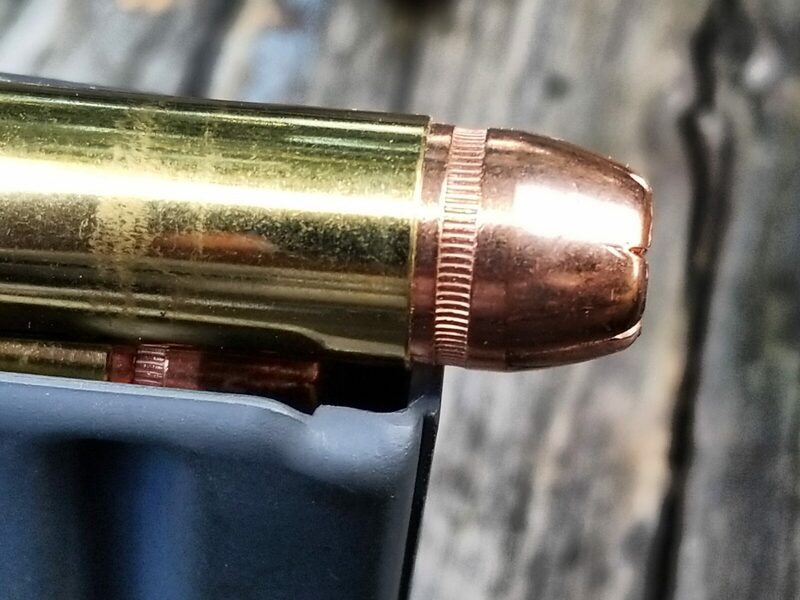 The round you see has the big 350 grain XTP bullet – they hit like a freight train. This is a really quick operation and you don’t need to take a ton off. I do it with the magazine empty of course, insert a round into the magazine and test then do a bit more. I’d repeat the removal and testing until the round went right up into the chamber. After the first few magazines, I had it down pat. In this next photo, see the shiny little ramp? That’s all there is to it. I just used quality aluminum magazines and did the tweaking. Polymer mags, such as MagPul take more work and I simply didn’t feel like bothering with them. I did use quality magazines and avoided cheap stuff and I also used the anti-tilt followers – just regular 5.56 followers – nothing special. 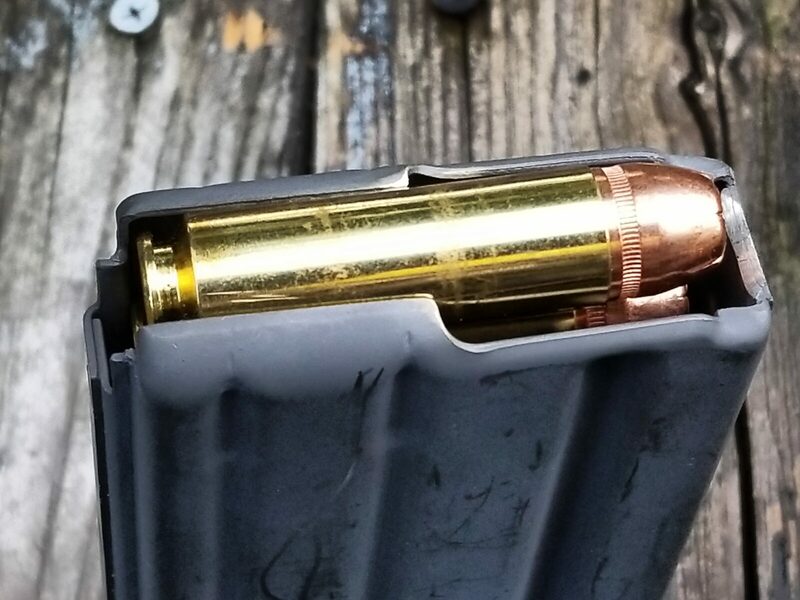 In a standard 20 round aluminum 5.56/.223 magazine, you can fit up to seven Beowulf rounds. In a 30 round magazines, you can fit up to 10. I never tried any of the higher capacity magazines so I can’t speak to them at all. This approach worked great for me and I hope it helps you as well.